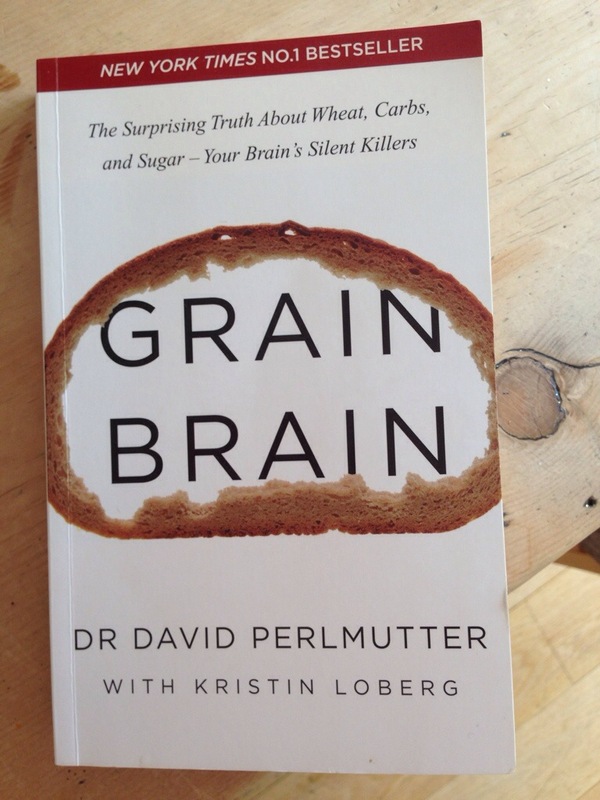 With the risk of sounding didactic, I urge all of you out there to read Dr David Perlmutter’s book ‘Grain Brain“. Yes, in it he discusses the risks of wheat, gluten, carbs and sugar, topics that have been newsworthy for some time and may make you shake your head. Do we really need more ‘fad science’? I would argue not. But I believe this may be different. Dr Perlmutter is an American neurologist that have made links between substances we consume and brain health. And not just any brain health but the biggies like Alzheimer’s, Parkinson’s, depression, diabetes, behavioural diagnoses (ADHD, autism et al) and recurrent migraines to name but a few. In his clinical practice, the results he’s achieved by simply changing his patients diets, not by medication, are quite astounding and he’s a stern critic of our, the world’s, pharmaceutical industry for whom the links between brain and diet has been known for some time. They do not want our best, they want profit. So in conclusion – this is not about our gut but our brains. Already, and I’m only 1/3 or the way into the book, I have decided to take his suggestions on board and introduce a new way of eating for us as a family. Dr. Perlmutter’s point is that although a small percentage may be gluten intolerant, we are almost all gluten sensitive. But the biggie here is that we don’t know it. Not everyone has problems in the gut that alerts you there is an issue. Brain degeneration is slow and not immediately noticeable. Yet when it becomes noticeable it can be too late to reverse. His other point is that we need to eat a lot more fat. High carb – low-fat is a recipe for disaster according to Dr. Perlmutter and many scientists now voicing concern about our eating habits in the West. High fat – low carb is his motto and with fats he means good fats like cheese, olive oil, walnut oil, coconut oil, nuts, seeds, avocados etc. The point is that our brains need a lot of it to be of optimal use. He is also not a vegan but advocates grass-fed meats such as beef, lamb, game and wild salmon as good sources of protein and fats. Not animals that have been reared with grain feed. However, I belive you can follow his advice even as a vegan if that is what floats your boat. About a month ago I decided to give Gluten Free a go at home and introduced gluten-free pasta (various shapes) and bread. Some makes were more ‘normal’ than others and overall the children have not noticed. The gluten free pasta has a slightly more yellow tone but mixed with tuna, Bolognese, pesto, tomato sauce no one knows the difference. The texture is great providing you don’t over cook it and the bread toasts as any other toast. We have found the Genius brand to be very good. Overall, however, we have introduced eggs as the breakfast staple instead. His book may not be your cup of tea but I think the reading and the mass of scientific studies that underpins his arguments, are quite compelling. Being informed is key, what we then do with the information is totally up to ourselves.